This week we have more stories from our listeners. These are stories are mostly about getting injured and overcoming the injury. This episode is packed full of great advice for anyone who has been injured, or if you have a teammate that has been injured. It is important to know what to expect and the advice will help get you back on the mat my friends. Tommy- (15m19s) Our friend Tommy shares his story of his battle with testicular cancer. He was diagnosed in 2010 with cancer after he found a lump on his testicle (Symptoms and Signs of Testicular cancer). He had surgery and then went through chemotherapy. The chemo was more difficult than the surgery. We talk about getting back on the mats and getting life back to normal. Check out some of Adam’s accomplishments here. Adam tore his ACL about five years ago doing judo and did not get it fixed He did physical therapy and continued training and competing without an ACL. He re-injured his knee while training for ADCC years later. After his ACL surgery he had very bad nerve pain in his foot. He gives a strong warning about the misuse of prescription pain killers. Adam has his own school, if you are in San Mateo be sure to check it out. Jon Haskew- (1h9m5s) He is only 32 years old and has had 9 surgeries. The surgeries include 2 ACL and a MCL. He also has a bulging L5 disk, and 2 major staph infections. His knee injuries have contributed to his bulging disk. Jon got a staph infection with each ACL surgery. The infection was bad enough for the doctor to put in a picc line in his arm. Jon is now a big advocate of using Defense Soap to prevent getting staph infections. Check out Jon’s gym here. Michael Crampon- (1h31m8s) Michael suffered a broken rib while drilling take-downs. His training partner landed with his elbow directly on his rib. He was off the mat for about 2 months to heal. He did lung exercises on an hourly basis to keep his lungs healthy. 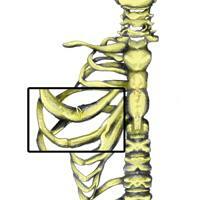 Since his injury he has had no lasting effect of the broken rib. 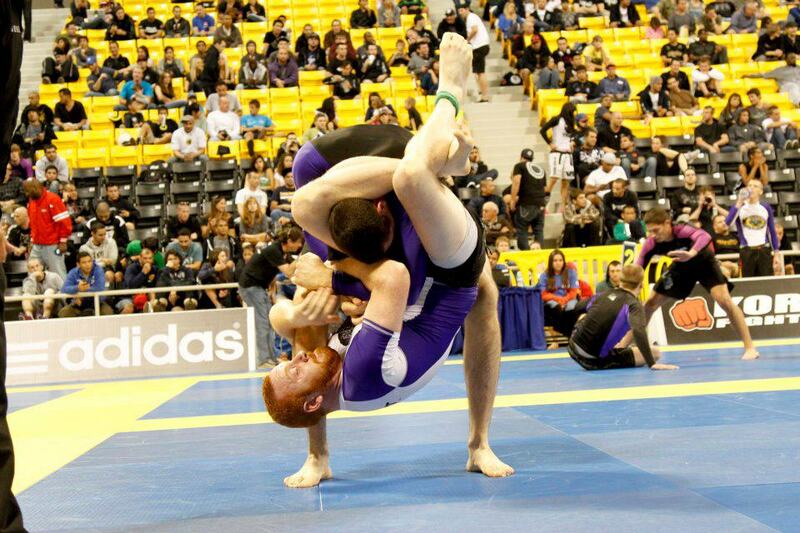 We also talk about some of the mechanics involved in his injury that involve grapples falling to the mat. Mike- (1h46m19s) He tore his pectoral muscle trying to escape a kimura. Mike shares some of the test that his doctor had him do that help diagnose the problem. The doctor explained his options and Mike decided to get surgery to help get his body back to full health. For a while the only workout that he could do was the stationary bike. He was off the mat for about two months. Now he is back and trying to take it easy. He is selective with his training partners and wears a bright color sleeve on his bad arm so his training partners are aware of his injured arm. Wil Horneff- (2h5m23s) Wil had a herniated disc and 5 bulging disks. 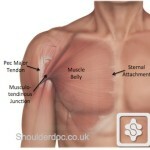 This happened by lifting too much weight and being too tried during his kettlebell exercises. He decided to use a recovery tool called Antalgic machine. A year after using this machine he competed in the nogi brown belt pan am and won. After his initial recovery he worked hard to strengthen his core mostly doing planks. Besides being a serious BJJ athleate Wil was in the movie Sandlot. 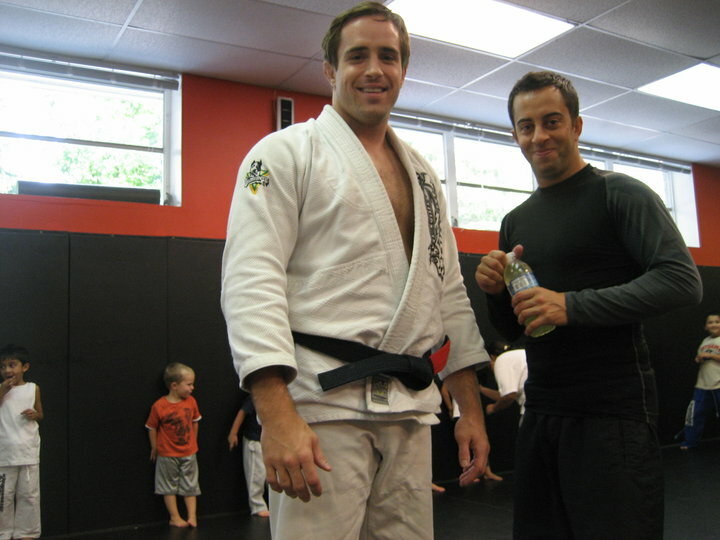 Check out his gym, Training Grounds Jiu-Jitsu & MMA in Bergen County. 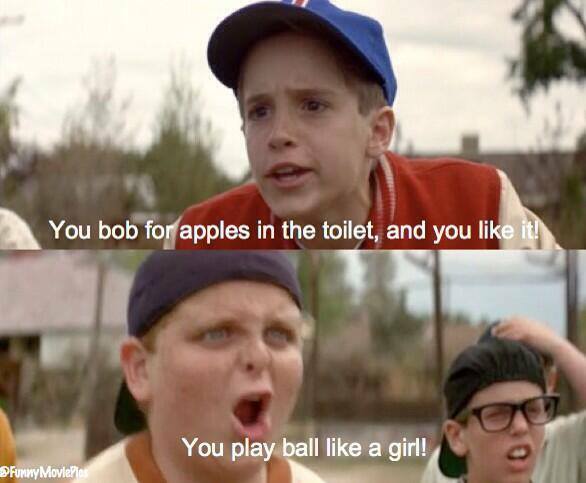 Wil says he still plays ball like a girl. 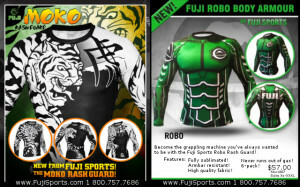 FujiSports.com is giving a listener a free rash guard. 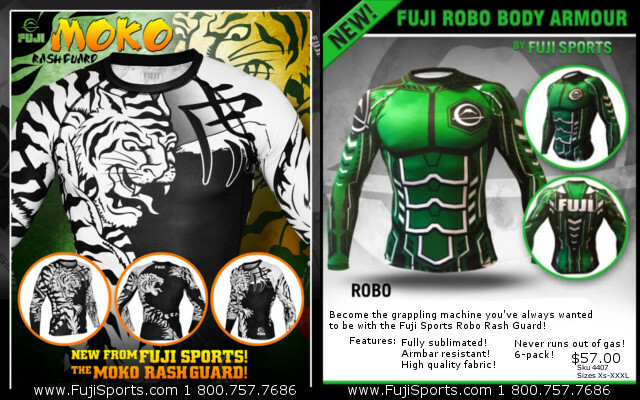 There are two rash guard to choose from. The Robo and the Moko. Enter to win one of these great Fuji Sports rash guards. Listen to the podcast for details. This entry was posted in BjjBrick Podcast, Interview and tagged bjj acl injury, bjj big red, Bjj Broken rib, bjj staph infection, Bjj surgery, bjj testicular cancer, Bulging Disks bjj, Injury Kimura by byronjabara. Bookmark the permalink.